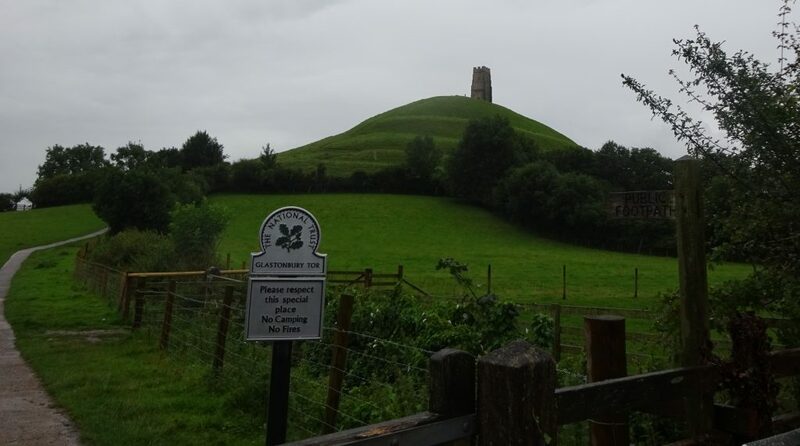 This is the first part of three about my time in Glastonbury. Follow the link at the bottom of the page for the sequel. 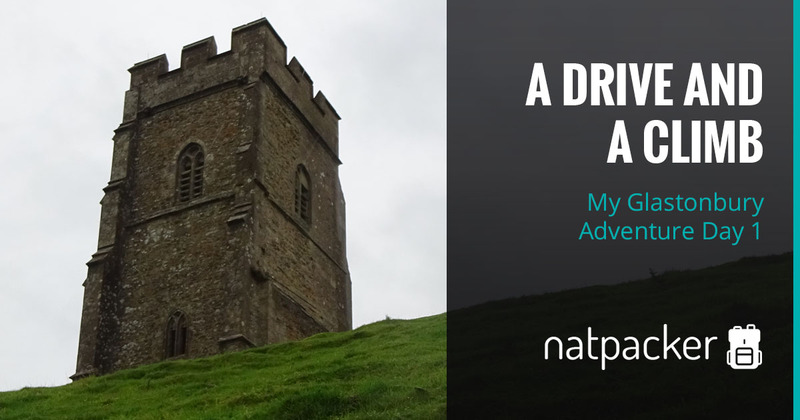 But for now, I hope you enjoy the story of My Glastonbury Adventure Day 1 – A Drive And A Climb! We’ve never been able to get back home from Beautiful Days without hitting traffic jam after traffic jam. So when planning for the 2015 Festival, we decided to cut the journey up, stopping somewhere on the way back. We’d seen the signs for Cheddar Gorge and Wookey Hole each year we went south, and were curious. So we picked somewhere nearby and ended up with Glastonbury. Here is the tale of my Glastonbury Adventure. 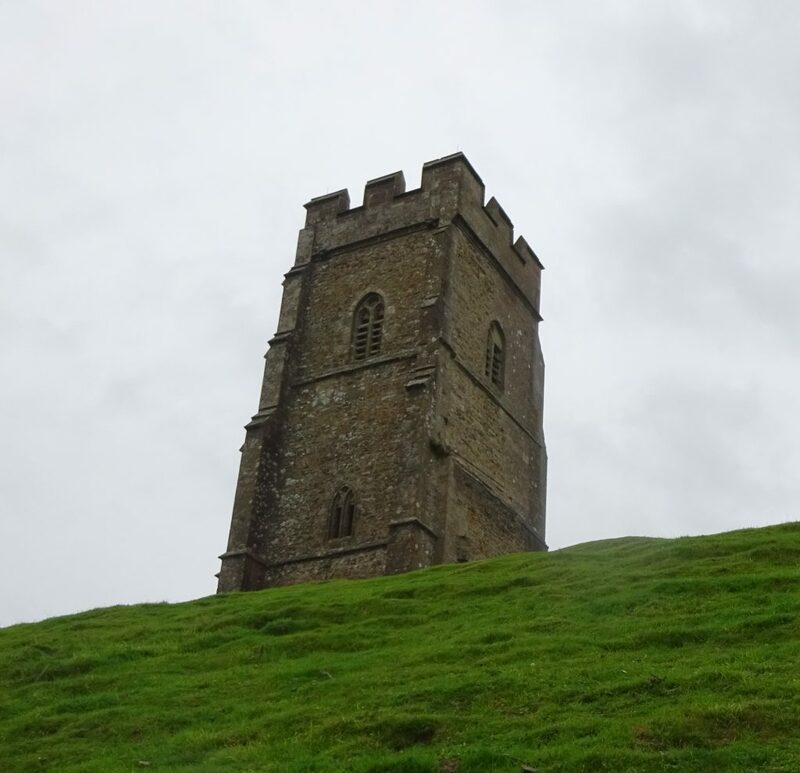 We’d booked two nights in Glastonbury, and as usual I’d digested the guidebook, so we had a lot to fit in! The plan of skipping the traffic jams failed miserably – I think there was a crash or something. So we arrived a little later than planned. But eventually we arrived at the B&B we’d booked – Little Orchard. We were welcomed by the owners and shown to our room. We had a lovely massive room and on the way up I noticed there was a bath in the bathroom, which made me very happy! The room also had a great view out onto the Somerset countryside. As we were still grubby from the festival, the first thing we decided to do was to get all the festival muck off us! I don’t think I’ve ever enjoyed a bath more! After being refreshed and becoming squeeky clean it was time to begin adventuring – we didn’t have much time here really! So we had to prioritise! We knew we wanted to see the Abbey and Cheddar Gorge or the Wookey Hole. Both Cheddar Gorge and the Wookey Hole were a drive away and the Abbey was only open for another hour or so, we decided to leave them and do something else. 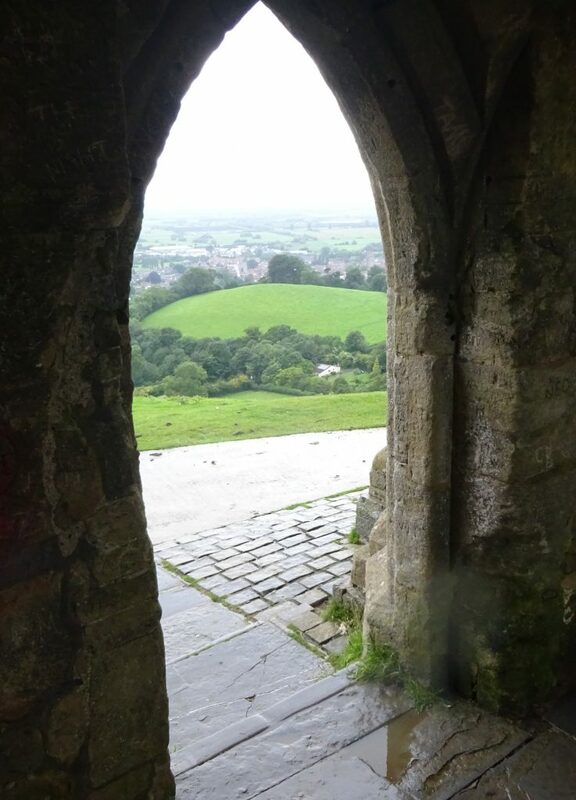 The decision was made to climb Glastonbury Tor and maybe catch the Chalice Well on the way into to town. So we set off. It wasn’t long before we came to a fork in the wrong and… Picked the wrong fork! Luckily we realised pretty quickly and backtracked! Then it began to rain… Maybe this wasn’t such a good idea! But we persevered and eventually got to the official start of the climb. Here was a National Trust sign that told us all about the Tor. Tor basically just means hill, this hill is 158m high, so just a small climb. And the tower that can be seen at the summit is St Michael’s Tower, which is all that remains of a church that once stood there, but was destroyed during the Dissolution of the Monasteries. The climb rewarded us with some brilliant views of the surrounding countryside. As an added bonus there were swallows flying all over the place. At the top you were able to go into the ruined tower, not that there was anything to see or do in the tower. Nonetheless it was fun! We started down on the opposite side to which we came up, as according to my research it would bring us out nearer to the village and near the Chalice Well. This way took us down a lot of steps – I was glad we did the walk this way around! So we headed into the village to find some food. The village was quite a bit smaller than i expected, but was pretty. We found a chippy (Knights Fish And Chips) that also had seating, we decided that fish and chips was just what we needed! There was an offer for fish chips and a pint, so we both went for that! The fish was really good, but I thought the chips were a little dry. Although it was still fairly early we were both still tired from the festival. So we decided to head back to the B&B for a early night. Although we went back a different was and maybe got a little lost, but the Tor makes a great landmark to steer by! 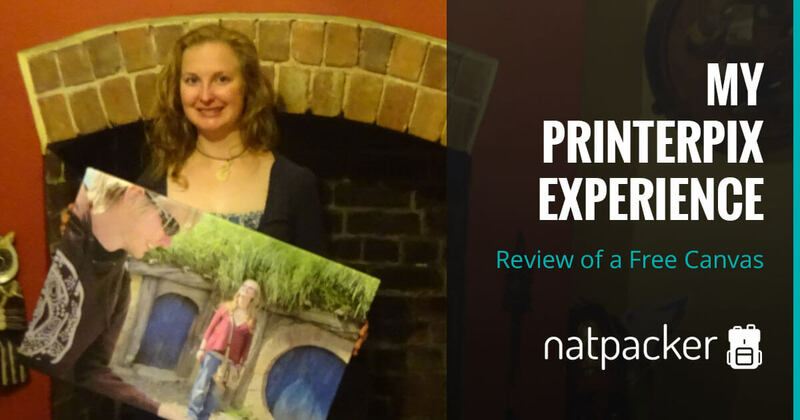 Inspired to visit Glastonbury? 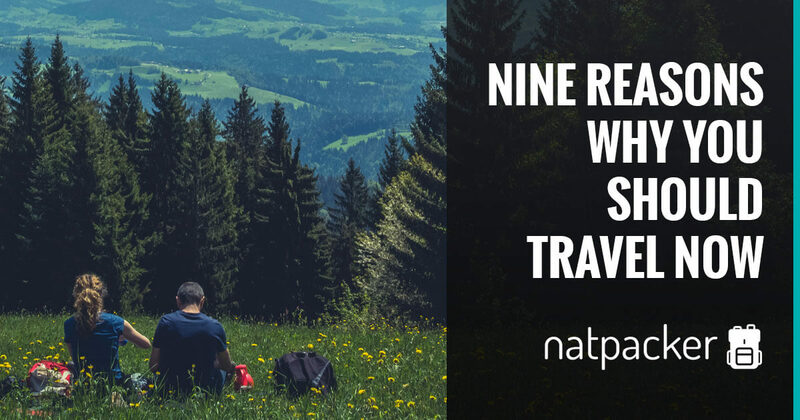 Compare accommodation on Tripadvisor!